The Great Ocean Road is one of the world’s most naturally stunning coastlines. With breathtaking scenery at every turn including, unspoilt beaches and lush rainforests, this is a scenic tour to be taken. 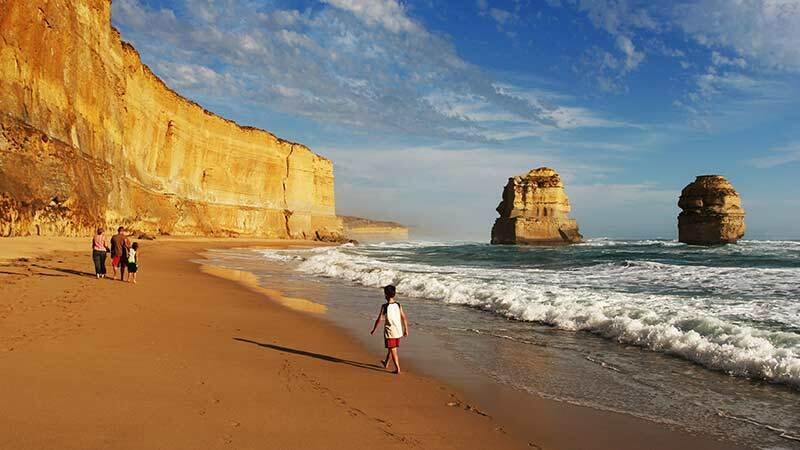 Take a full day to explore the Great Ocean Road. Leaving Melbourne in the morning and returning to the city that same night, you’ll experience some of the best scenery Victoria has to offer. Visit historic Cape Otway Lightstation and stop at some of the seaside holiday villages as you wind along. Be amazed by the Twelve Apostles, Loch Ard Gorge and breathtaking views. With so much natural beauty on offer, this will be a day you will remember forever. The tour departs daily at 7.15am from 570 Flinders Street, Melbourne, returning at approx. 8.30pm. Minimum age to go on this tour is five years. Children five years and over must be accompanied by an adult.